What does the typical accountant job description look like? What skills will you use when you become an accountant? Accountants can span a number of different topics so in pursuing an accounting degree you have lots of options. This breakdown will give you a general idea of the job description, what the day to day looks like, and how you will have an impact when you become an accountant. 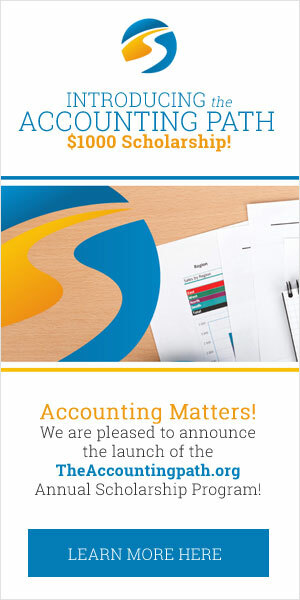 For more on specific types of accountants, jump on over to our Career Paths page too. Tracking: The primary responsibility within an accountanting job description is the recording, preparing, and tracking of financials in a business. Accountants are the gatekeepers of the most important information in the organization and tracking how financials are performing is priority number one. A keen eye for detail and the ability to tackle complex problems are just a few reasons why accountants are in such high demand. Processing: People need their salaries, bills need to be paid, and people need to pay us! The day to day often involves movement of money across the organization and making sure the organization is running smoothly. Processing invoices, sending out payroll, and collecting revenue are just three examples daily duties found in an accountant job description. Analysis: So you’ve tracked how things are going, but how do you turn that into actionable insights that will drive business decisions? Part of an accountant job description includes diving into financial data and understanding what it’s saying about the business. Is the cash position in a sound place? Are there key expenses getting out of line? Using an analytical mindset and the financial expertise they have gained in school, accountants work to understand what is going on and providing recommendations to upper management for key decisions. If the job description for an accountant sounds interesting to you, then you’ve come to the right site. Jump on over to our How do I Become page to learn more about becoming an accountant, see the different types of accountants on our Career Path page, or use our College Search to find the right school for you.